Every weekday 1 – 5 p.m. Above for referrals GP or self referral. IAPT for psychological services self referral. Form on REFERRALS page. 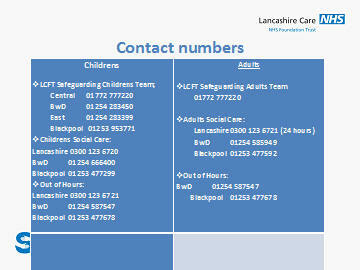 For referrals for patients who already have or have had a named Psychiatrist 01254 226150. Blackburn with Darwen Mindsmatter service is pleased to announce that they are now working in partnership with Lancashire Women’s Centre (LWC). The purpose of this is to improve access to services and consistency of quality for service users in BwD. Referrals can still be made in the same way and the service provided is identical. 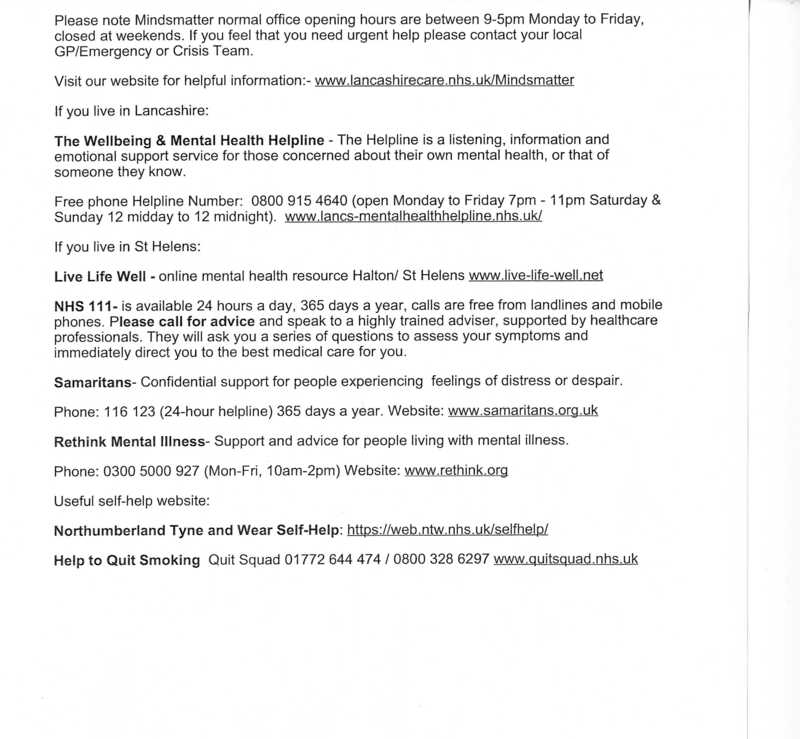 Self-referral to Mindsmatter or the Women’s centre can be made by phone (see numbers below). 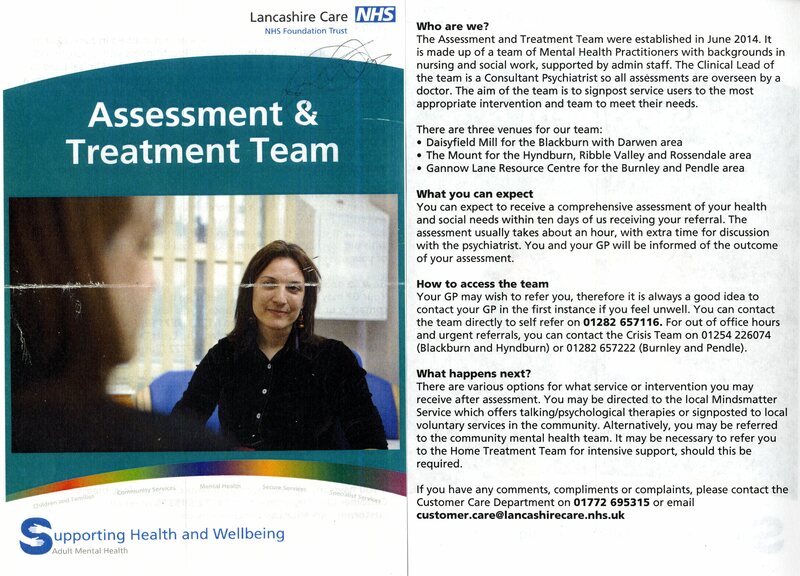 Each referral will be screened and placed on the combined waiting list (PWP, CBT and counselling). Patients will be allocated to the appropriate waiting list and be offered appointments. Patients will also be given the option to choose Mindsmatter or Women’s centre clinicians. 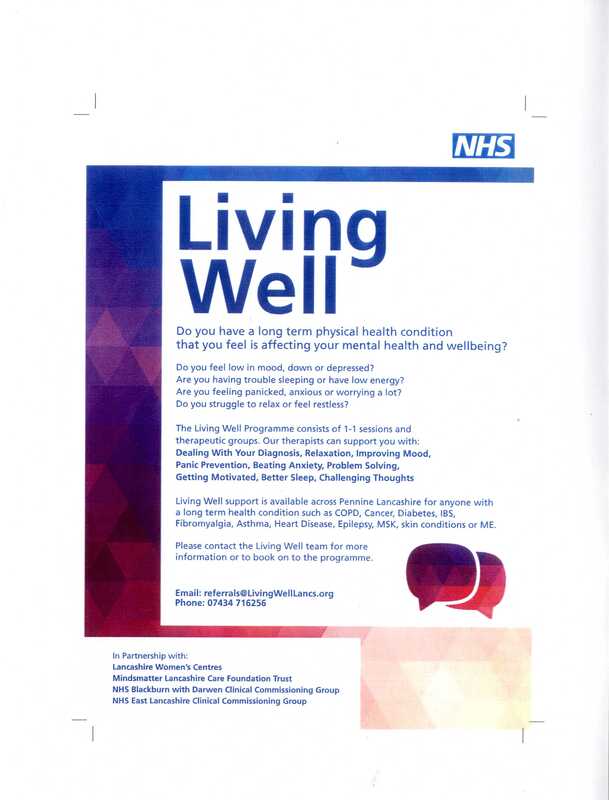 Lancashire Women’s Centre will also provide the Living Well course for patients with Long Term Conditions, a six-week course to help improve mood. 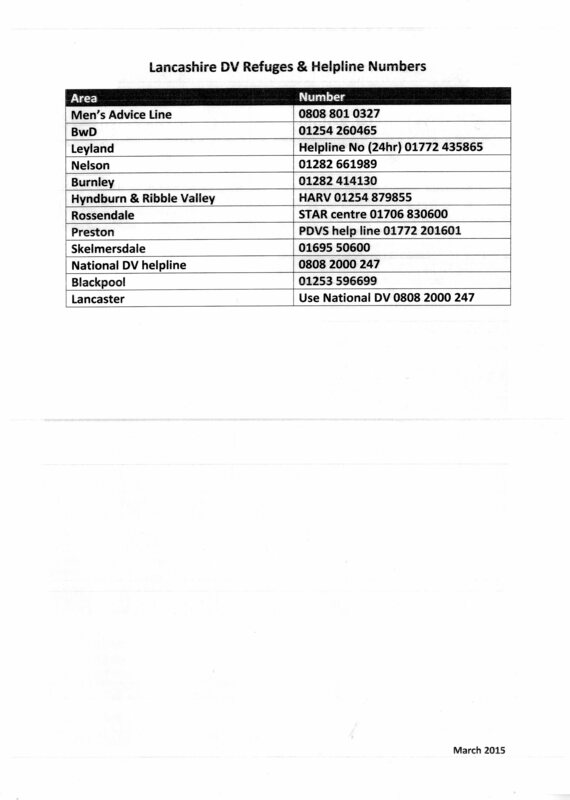 These can be accessed through the LWC number below. NB: The Women’s Centre have decided to close their office in Blackburn so they can work more out in the community. The building was no longer fit for purpose and will close at the end of September. Be reassured that the LWC services can still be accessed but will be delivered more in the community. Further updates will follow.